NOT MANY COUNTRY CLUBS can boast of hosting a Ryder Cup, having multiple U.S. presidents as honorary members — including one who was a part-time resident — and seeing its course appear on a Sports Illustrated cover. 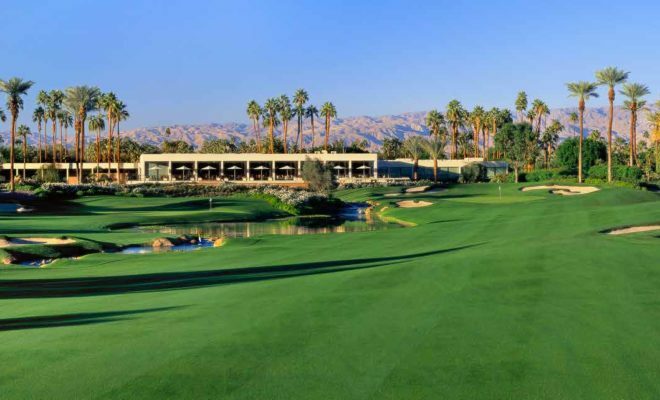 Eldorado CC, an Indian Wells fixture for more than six decades, is the very rare one that can. 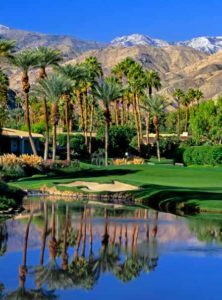 While the exclusive private club closely guards its membership roster, it’s openly proudofitsplacein SouthernCaliforniagolf history. 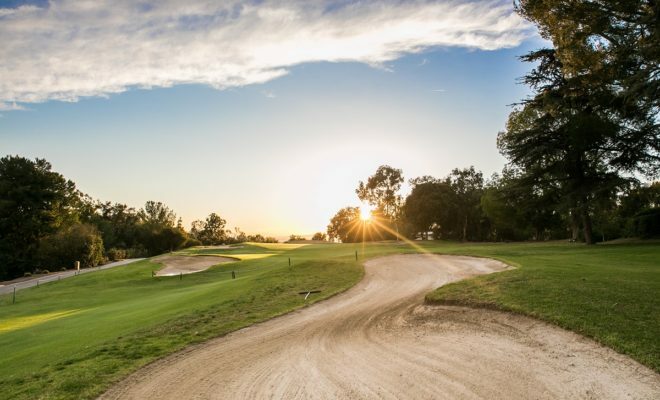 Built in 1957 on a former fruit ranch, the club was created by Johnny Dawson (a 2007 SCGA Hall of Fame inductee) and Jimmy Hines (a nine-time PGA TOUR winner). 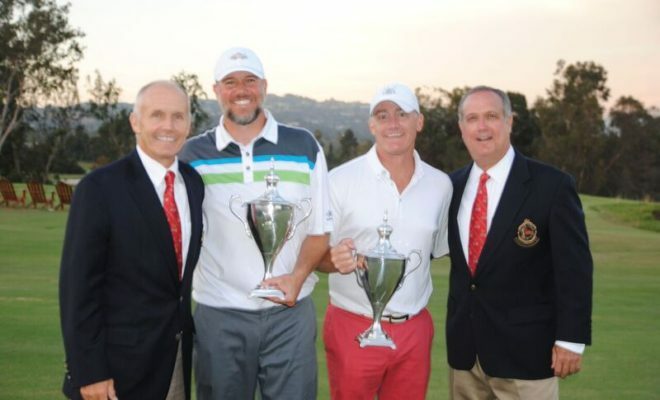 Both men played key roles in the development of nearby Thunderbird CC six years earlier — Dawson as a founder and Hines as that club’s first head professional. 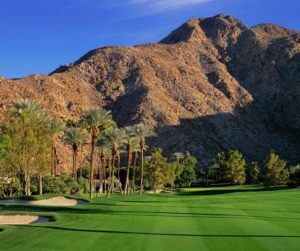 At Eldorado, the pair enlisted architect Lawrence Hughes to design the course, as they had done at Thunderbird. Less than two years after the first tee shot was struck at Eldorado, on Nov. 22, 1957, the course would once again follow in Thunderbird’s footsteps by announcing that it would host the 1959 Ryder Cup, which Thunderbird had hosted in 1955. The 1959 U.S. team that competed at Eldorado, led by captain Sam Snead, easily defeated Great Britain & Ireland, 8 1/2 to 3 1/2. The event, which landed the club on the Nov. 2 cover of Sports Illustrated that year, firmly established Eldorado as a club of note. It also marked the last time the Ryder Cup was played west of Texas (it’s currently scheduled to return to California in 2032 at The Olympic Club in San Francisco). Almost six decades later it’s hard to miss that Ryder Cup connection in the clubhouse, with a replica trophy (created in England at a cost of $10,000), signed bags from each team, and various photos from the event all displayed in a trophy case. Another sign of those times, which were well before the Ryder Cup became the massive sporting event it is today: For a $100 entry fee, Eldorado members played in a two-day tournament with players from both teams prior to the actual Ryder Cup. The event was celebrated during a memorable 50th anniversary party in 2009 that brought together many former Ryder Cup players, including a few from the 1959 teams. 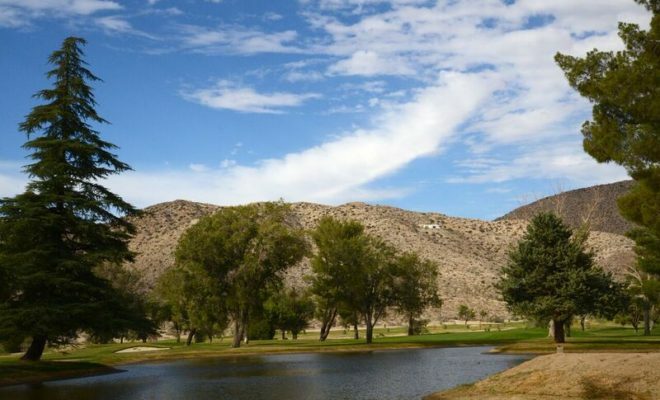 It wouldn’t be Eldorado’s last high-profile golf tournament. 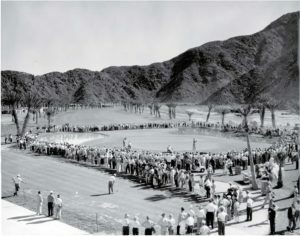 The club also hosted the Bob Hope Desert Classic 17 times between 1963 and 1989. But as the decades moved on, the club’s layout was in need of modernization. IN 2003, COURSE ARCHITECT Tom Fazio was brought in and completed a full renovation of the course, which is nowadays open for play from November through May. He transformed the landscape, creating enough mounding to ensure that members and guests don’t see another hole from the one they are playing (with the exception of the adjacent closing holes on each nine). He also added plenty of water hazards, though the routing remained the same, primarily because of all the housing that has been built around the property since its debut. With the exception of new bunker sand and some minor tweaks, little has changed on the course in the past 15 years. 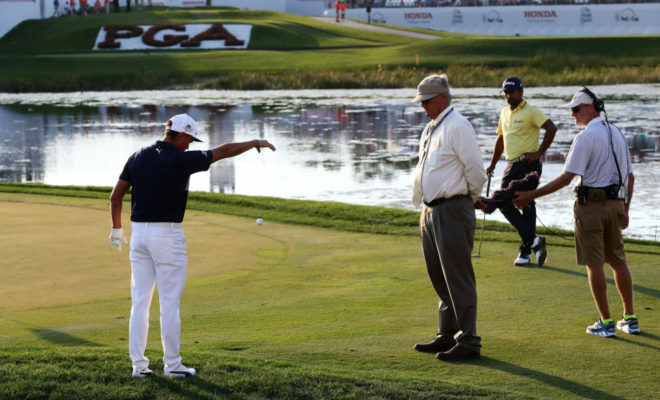 Fazio did recognize that the predominantly older membership played their golf largely along the ground, so no bunkers guard the front of any greens, enabling shots to roll up. 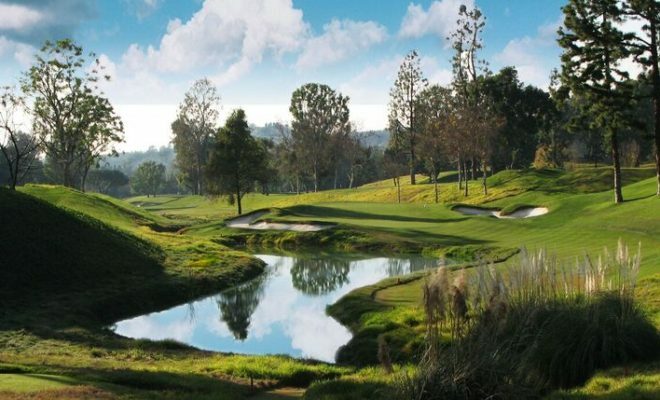 The ninth and 18th holes are divided by a water feature, with the closing hole a stellar 466-yard par 4 where the entire left side is guarded by a water hazard, brought even more into play by a fairway that slopes from right to left. 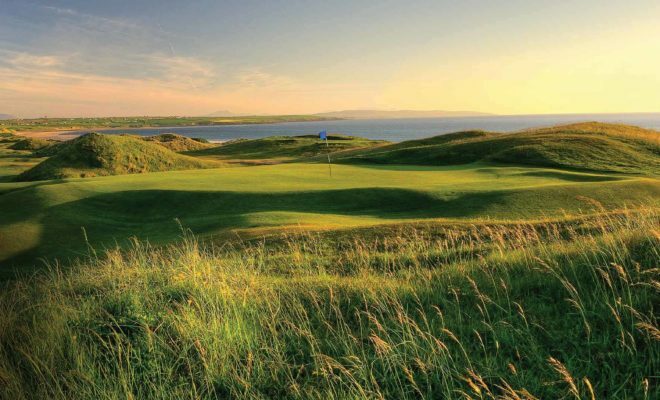 The club’s most famous hole is found on the back nine, but not exactly for any golf-related reason. After serving two terms as president of the United States, ending in January 1961, Dwight D. Eisenhower and his wife Mamie spent a number of winters at Eldorado CC. They lived in a house on the left side of the 11th fairway. “Every guest wants to see the home,” said Beardsley. “There is a bust of the former president right outside of it. 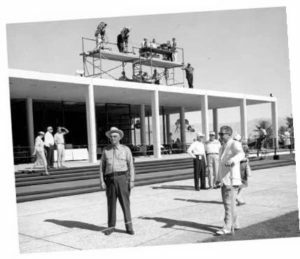 We also have some great photos of Presidents Kennedy and Nixon landing on that fairway in their helicopters while visiting Eisenhower.” The clubhouse includes a room dedicated to the former president and decorated with pictures of him, while a casual dining and bar area called Ike’s was unveiled last year. When I consider this globe, I think that God has abandoned it to some evil creature. Always excepting Eldorado.